That has become one of my favorite verses lately. It’s our blueprint… our original design. No matter what mankind may look like on the outside, no matter what sins we may commit, this is truly who we were created to be and how God sees us – because He always sees us according to our potential in Him not as we are at the moment. The very first man walked in that design, and all mankind afterward were supposed to walk in the same pattern. But although Adam was created in that design and walked in it for at least a few days, he sinned and introduced sin and consequently death into ALL the world. All men born after him forgot they were born in God’s likeness and image. Adam gave birth to Seth and in the verse the order is reversed… instead of image and likeness it says likeness and image. I believe that reveals man’s distorted view of who they were. Genesis 5:3 “When Adam had lived 130 years, he fathered a son in his own likeness, after his image, and named him Seth.” Sin had been introduced into the world through Adam’s disobedience. God’s timing was absolutely perfect. He always had a plan to redeem us. He had found us in Christ before He lost us in Adam! Ephesians 1:4 even as he chose us in him before the foundation of the world, that we should be holy and blameless before him.” He always loved us too much to leave us in such a wretched state…. God never abandoned His creation! Romans 5:8 “but God shows his love for us in that while we were still sinners, Christ died for us.” God’s great mercy is FAR reaching and ALL encompassing. Just as it took Adam’s one act of sin to condemn ALL of mankind, it only took Jesus’ one act of righteousness to completely declare ALL mankind innocent. Romans 5:18 “So here is the result: as one man’s sin brought about condemnation and punishment for all people, so one man’s act of faithfulness makes all of us right with God and brings us to new life.” Freely acquitted in the sight of God. Through Adam, we were ALL were condemned and death reigned in BUT through Jesus, we are ALL declared righteous and life reigns in us. Jesus defeated sin and death ONCE and for ALL. God did not love us more once we were reconciled. Reconciliation simply made us free to realize how much He has always loved us and free to enjoy our redeemed original identity — made in His image and in His likeness. To see ourselves as He sees us — IN CHRIST. Free to enjoy sonship and all of it’s joys and privileges. And not just to see ourselves in this new light, but our old ways of seeing others is over as well (2 Cor 5:16). We are now to see everyone through the eyes of our Redeemer. He has made us ambassadors or ministers of His reconciliation with the world. Our lives are now to exhibit the urgency of God to persuade everyone to be reconciled to God — because Jesus took their life to the Cross in exchange for His resurrected life in them. 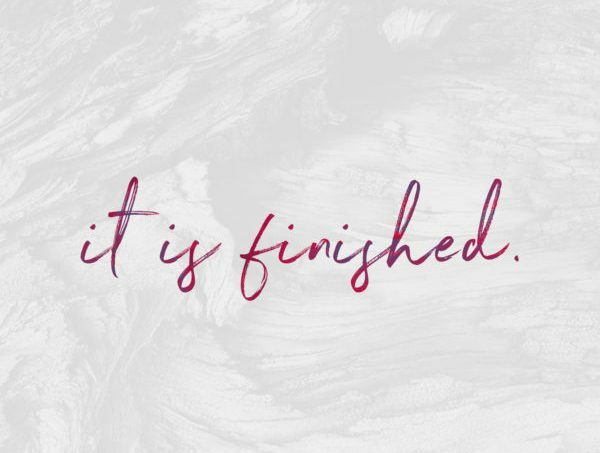 He did a finished, completed work on the Cross for ALL mankind. God’s great mercy for mankind is seen in the riches of His goodness toward us and His absolute passionate refusal to let us go. His Covenant love for us is because He continues to hear the echo of His image and His likeness in us. Humanity is in the same boat; their distorted behavior is proof of a lost blueprint. (24) Jesus Christ is proof of God’s grace gift; He redeemed the glory of God in human life; mankind condemned is now mankind justified! (25) Jesus exhibits God’s mercy. In His blood conciliation, God’s faith persuades mankind of His righteousness and the fact that He has brought closure to the historic record of their sins (not by demanding a sacrifice but providing the sacrifice of Himself). Jesus is the unveiling of the Father’s heart toward us. (26) All along God refused to let go of mankind. At this very moment, God’s act of righteousness is pointing them to the evidence of their innocence, with Jesus as the source of their faith. It is the revelation of God’s goodness that leads men to repentance, not our repentance that leads to God’s goodness. Thanks for this text. And thank God for his infinite mercy.